Oh Happy the Mother and Grandmother who is able to visit her children and grandchildren . . . My heart overflows with gratitude! If we are fortunate, God, life is a long journey. I’m thankful that I’ve been fortunate. I’m smiling at this photo of a cactus. 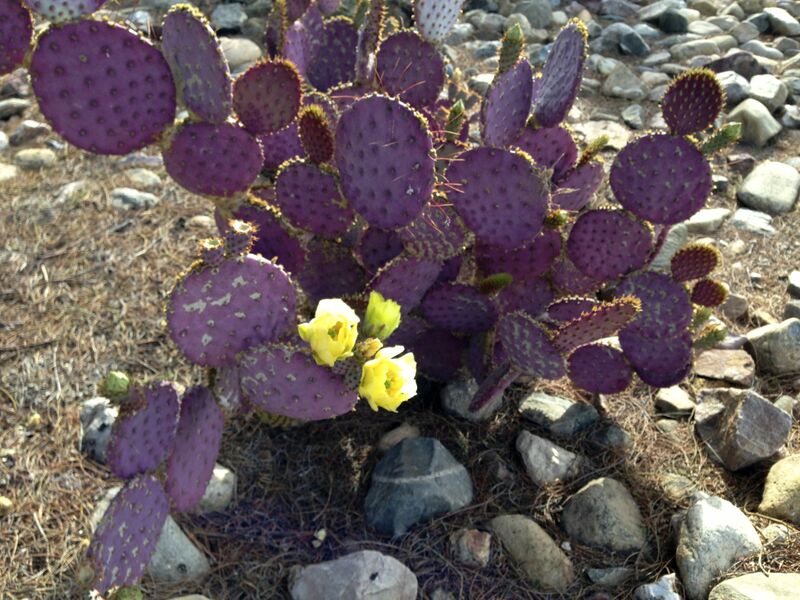 There are cacti in the most fortunate of lives. Sharp spikes to look out for — but also bright flowers — bringing joy. I guess, God, that I am thinking in terms of a Journey because of my recent travels. Right now I’m in Tucson with my youngest daughter, Sandy and her family. Monday I will go to LA to visit our oldest daughter, Suzanne . And Kit and I are both just returned from our trip to New England for Kit to run the Boston Marathon. That’s a lot of traveling. We are off in just a few moments to see our grandson Mark star as Jake in the Neil Simon’s play Jake’s Women. Mark did a fabulous job last night and so we are all much more relaxed than we were before his first performance. So now, God, we are all off to an early bedtime to read and relax before falling asleep. Thank You so much that I was able to fly out to be part of the excitement and celebration! Thank You for so many blessings. Now, please God, help all of us who have been blessed — to become blessings for others.